I discovered the talented Italian band The Barock Project after Nellie Pitts recommended their album ‘Skyline’ to me. I took a gamble and sent her a postal order (or was it a cheque?). Anyway, the sound of young Mediterranean youth playing their hearts out soon won me over. 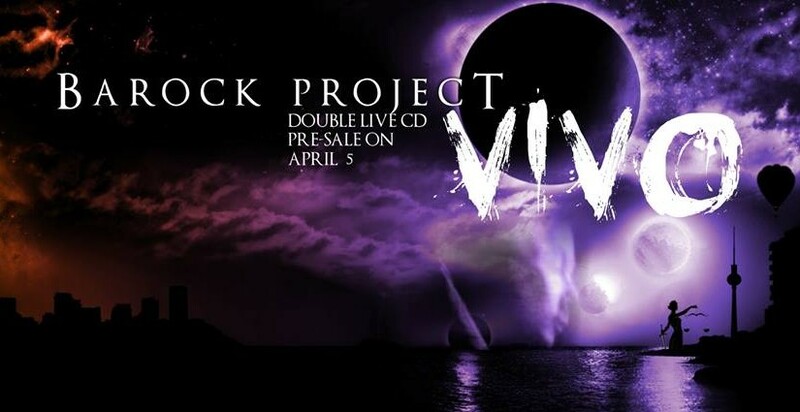 They then upped the ante with an excellent live album, ‘Vivo‘. Live, they were even stronger, with some real power to their collective elbows. They’ve now returned with their new album and it’s another quantum leap forward. 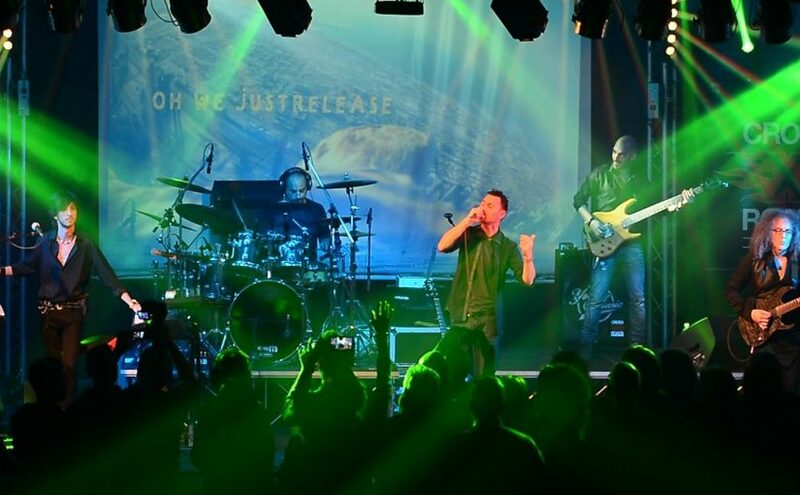 The old school vibe of the ‘Skyline’ project has been toughened up, the band are now firing on all six cylinders, and if the automotive metaphor was to be stretched to burst, this is a pole position worthy band ready to accelerate away from the pack. I reviewed this after listening to it and conversing with a friend of the band as I listened, she was able to answer questions as they popped into my head-Amazing thing, technology. My “source” – “Oh he’s amazing, classically trained, you can tell, he’s a real pianist, not a computer geek who prods keys”. I’ve listened again and the depth of musicality is being uncovered. There are hints of the “not singing in my native tongue” in the closing part of the song, but the vocals are still enunciated beautifully and the instrumental canvas is a pleasure to lose yourself in. My source filled me in on this too. Luca, who writes, plays keyboards and produced the album also sang on all the tracks as in a Spinal Tap type “gardening accident” the band lost their vocalist and front man during the recording of this album. In the best Prog tradition, following in the footsteps of that short bloke from Genesis and that American drummer with the Italian name that now plays with the quintessential British Prog band, he stepped up, and knocked off an albums worth of vocal, as you do. There is another vocalist on the album too, a Mr P. Jones, Esq. that many of you know from his appearances fronting the lovely Tiger Moth Tales and the noisier Red Bazaar. All these multi talented people, gathered together on one album, the sum is even greater than the parts. I must confess to “assisting” with the lyrics of one track, but my involvement was very peripheral, merely a view of the lyrics written out in English, I was happy to be of some use as the lyrical flow presented here is a credit to Luca’s resolve to “get it right” and sing in a natural way using a second language so yet another string to his bow! One Day starts with some neo classical guitar figures, before switching to a 12 string sound, a real “classic Prog” vibe here, my initial point of reference was BJH, there is that element of lush pastoral beauty to the melody , the classical piano underpinning adds to the “feel”. It’s the classical background that comes over here, with a splash of flute bouncing across harpsichord and yes, it does go a bit Jethro Tull in the middle eight, but in a good way. Secret Therapy starts with Tablas and fast acoustic guitar runs, along with a grand piano, in fact the more you listen, the more instrumentation you find in the mix. Production is lush and warm, none of that awful tinny drum heavy sound that blights much modern rock, no here we have a soundscape constructed by someone whose palette expands beyond drums, pro tools and auto tune. Rescue Me is very poppy with a catchy little riff. It Bites almost, or should I be referencing Frost* now? I could go on, but the beauty of this album is that it encapsulates you in it’s own universe completely. You want to listen all the way from start to finish without skipping a track. There are some beautiful guitar parts too, nothing too flashy or show boating, but they flow organically with the songs, they’re not bolted on or shoehorned in as is the case with some material. There’s some melodic underpinning of the songs from Francesco on bass that enables the instrumentation to spread out and fill the room. I get the feeling that this album was made by a band of friends in a room all at the same time, the old school way. The way Bob Dylan and the Band recorded the basement tapes – music made for the joy of making music together. Like that album, we are privileged that the creators wish us to share their world. Buy ‘Detachment’ direct from the band. 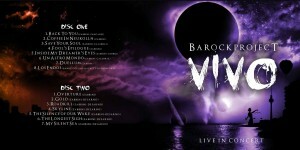 Starting on 5th April the italian prog-rock band Barock Project launch the pre-sale of a new live-album. Two live cds featuring an unreleased track to celebrate a decade of music writing and four studio albums!! Vivo: ten years in two hours with Barock Project! 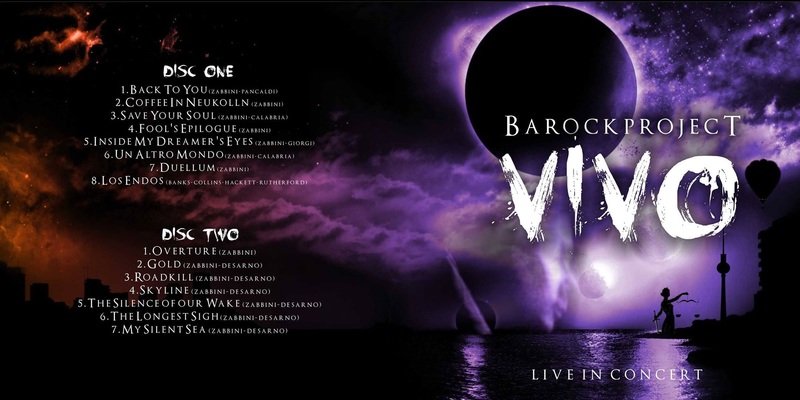 On May 23rd Barock Project will release ‘VIVO’, their first live album (and fifth album in total) to celebrate ten years of writing music. VIVO will be the fifth release by BP, following the successful studio album Skyline(2015), sold in 34 countries. In addition to the live tracklist, enriched by a memorable version of Genesis’ hit Los Endos, VIVO includes an unreleased bonus studio track: My Silent Sea. Two cds, comprising two full hours of music, will feature all the BP hits and shows the musical evolution of composer/leader Luca Zabbini and his band. 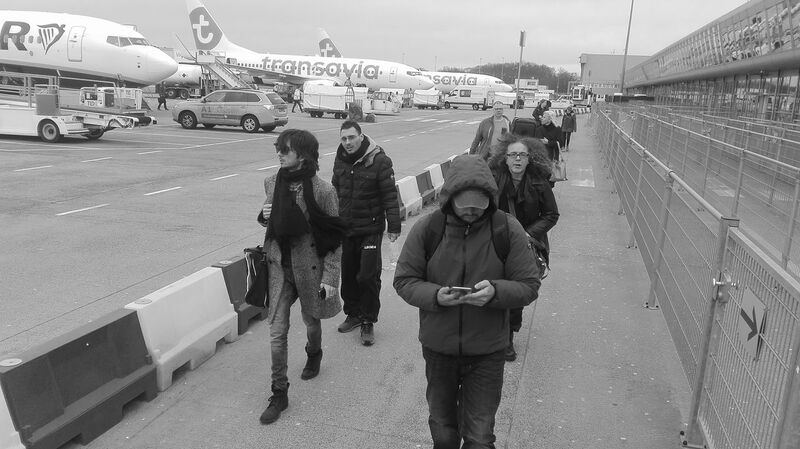 ‘VIVO’ has been recorded during the 2015 ‘Skyline Tour’. ‘Skyline’ achieved overwhelming success, many journalists all over the world acclaimed Barock’s ability of playing traditional progressive-rock in combination with a new direction. Vittorio De Scalzi (New Trolls founding member), and special guest on ‘Skyline’, publicly appointed BP as symphonic-prog heirs in continuation of his work with the New Trolls and their ‘Concerto Grosso’ albums. So naff that you can’t avoid watching it, to most people (especially in the UK) Eurovision has become something of a pastiche and a parody, albeit an enjoyable one. The acts get more and more outlandish and the voting is more of a ‘jobs for the boys, you pat my back and I’ll pat yours’ affair. It is kitsch and over the top and seems to have lost sight of the original values that saw artists such as Sandy Shaw and Abba produce memorable songs that still stand the test of time today. I mean Australia? come on! When was the total shift in the tectonic plates that deposited our Antipodean cousins slap band in the middle of the Mediterranean Sea and how in all that’s holy did I miss something of those seismic proportions going on under my nose? The usual entertaining farce of this year’s competition got me thinking, what if Eurovision was populated entirely by progressive rock bands? As it happens, I was actually listening to the latest release from the young Italian prog band Barock Project when that particular inspiration particle hit my cerebral cortex. Maybe it was inspired by their singular brand of pompous, over the top but utterly mesmerising progressive rock? The bar set extremely high for quality but with a singular tongue-in-cheek feeling of joyous expression. 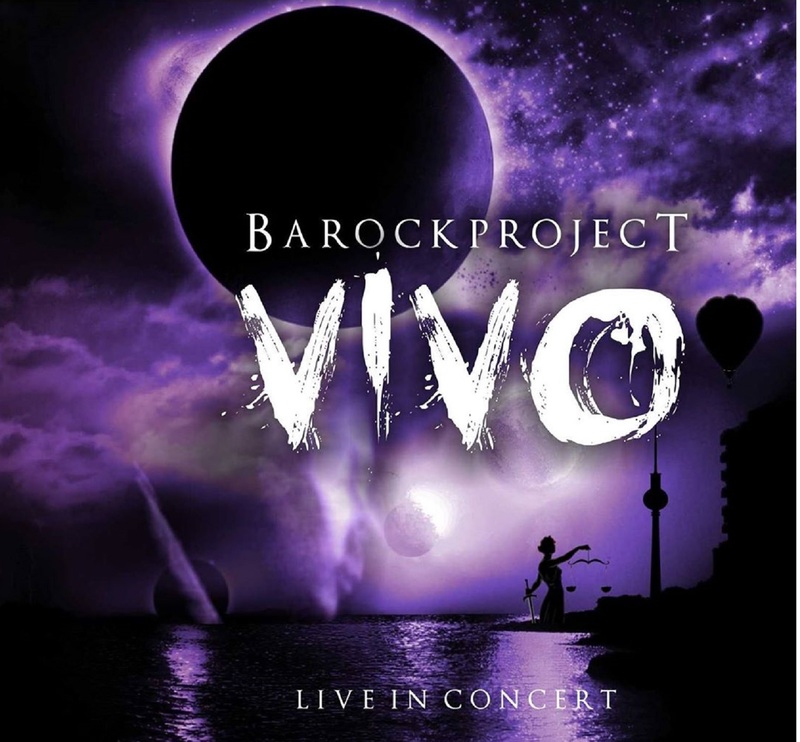 The Barock Project idea comes from a desire to deliver the finest and perfect structure of classical music (mainly baroque music) with a rock-style and a little bit of jazz harmony, supported by a pop framework with the intention to revamp the appeal of ’70s progressive-rock. The project founder, pianist and composer Luca Zabbini, states that his passion for the music of famous keyboardist Keith Emerson (ELP), has fueled his desire to compose and play a full range of styles, from classical to rock and jazz. 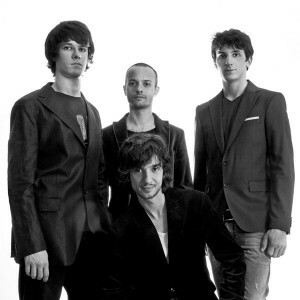 Luca Pancaldi joined as lead vocalist in 2002 and, in the summer of 2004, Giambattista”GB” Giorgi, a young bassist influenced by rock sounds with big passion for jazz, and drummer Giacomo Calabria joined the band. 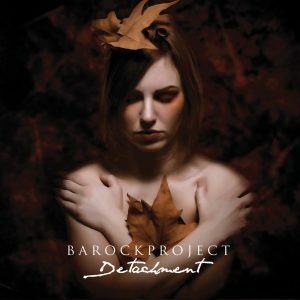 Eric Ombelli (replacing Giacomo Calabria on the drums) and Marco Mazzuoccolo (guitar) joined in early 2014 and Barock Project began recording sessions for their 4th and most complex album. 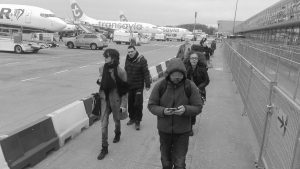 Towards the end of 2014 bass player Giambattista Giorgi left leaving Luca Zabbini to play and re-record the bass lines on the forthcoming album, ‘Skyline’. So a quick potted history of the band, now onto ‘Skyline’, what do we have in store for us? Well, if first track Gold is anything to go by, a headlong rush of infectious, inspirational music! The harmonised vocal intro is superseded by an uplifting piano and keyboard note before the vocals begin. Luca has a rich and creamy vocal delivery that immediately connects with you and on this inspiring, joy filled track it really comes to the fore. There is a love of life, a joie de vivre that runs right through the core of the song, the band even chuck in the odd time change here and there to give it some progressive chops and Marco’s fluid guitar playing adds real character, especially when dueling with the keyboards . All in all, an excellent start to the album. Overture is a baroque, classical inspired little instrumental that showcases the band member’s skills as musicians and is a funky, fast paced nod to the 70’s as is rattles along on a wave of nostalgic keyboards and dynamic drumming. 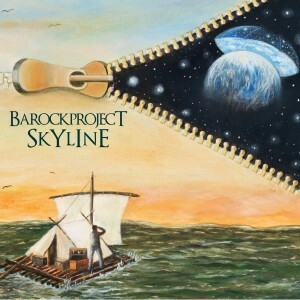 Title track Skyline is the first indication, well to my ears anyway, that we are onto something special with Barock Project. Special guest Vittorio De Scalzi is invited to the party on vocal and flute duties and the minstrel like qualities of the vocal introduction immediately makes your ears prick up. Lightly strumming a lute in the middle ages, you could quite imagine yourself being present at a court in medieval Italy as the delicate acoustic guitar provides a canvas for the graceful vocals. The dynamics change as the drums join in and a sense of anticipation takes over, the vocals harmonise perfectly and you are hooked. Keyboards flow and chime and the flute adds a classy sheen to the song. The curve ball is delivered by an aggressive guitar riff and the vocals become infused with a potent edge as the track enters the symphonic arena. Guitar licks that Brian May would be proud of are fired off in all directions and this energetic ‘pomp and circumstance’ filled romp gets truly into its stride. A fiery solo just the right side of hair metal puts a huge grin on your face, this song really has elements of everything blending perfectly. The next section is an off-kilter romp right from the heart of 70’s progressive rock standards as you are flung from pillar to post in a delightful fashion, the addition of the charismatic flute is genius. A mighty impressive track from some seriously impressive musicians. Turn down the frenetic pace a notch and fall into the graceful introduction of Roadkill. This has more of a traditional AOR feel to it as it builds momentum slowly, the occasional flashes of the guitar could be Journey or Toto and when the track lets loose, it does so with a powerful vocal uplift. A steady, potent riff then takes over guiding the song along, aided and abetted by a subtle rhythm section. The icing on the cake is those cultured yet compelling vocals which have an almost addictive quality to them. Luca fires off a coruscating solo, counterpointed by aggressive keyboards and punctuated by some intricate flute playing. The ending is all theatrical and in your face yet you feel a baring of the soul at the heart of it. Another ten minute plus track The Silence of Our Wake begins with a subdued, melancholy air as the restrained vocals are sung over a muted acoustic guitar. There is a solemn feel as Luca’s delivery has a halting feel to it and you feel yourself holding your breath. Things begin to stir into life as the keyboards and rums add substance, the guitar interjects and the melancholy air is lifted. I can almost feel a cinematic scope to this song as the preamble is dispensed and a lighter air gradually feeds in through the instrumental section. Straightforward storytelling and symphonic tinged rock combine with classical music influences to deliver a complex yet satisfying blend of music that hits all the right notes. As the piano led vocals drift off into superb harmonies you are put in mind of some of the great songwriters of the 20th Century, the sophistication and composure are of the highest quality. The Sound of Dreams is a graceful snippet of loveliness that takes you to a place of calm solitude for two minutes, let your worries and cares wash away as the tender vocals and ethereal piano and keys wash over you to leave you in a state of grace. A funky, jazz infused track with a little edge to it, Spinning Away gets you on side from the off. Catchy vocals and a high powered rhythm section give this song some definitive oomph! The vocals have a slight staccato delivery, an inflection on every word and the whole piece feels like a sophisticated jam session where the musicians are allowed to have a little more fun and think outside of the box. Possibly the most experimental and interesting track on the album although it never loses the overall cultivated sense that is central to the musical ideas that define this release. A classical styled piano intro heralds another one of my favourite components of ‘Skyline’. Tired is a theatrical tour-de-force, full of energy and savoir vivre. The vocals are at their most impressive, forceful and persuasive and you could see this track central to a musical staged on a huge scale. The orchestration is polished and stylish and, I must admit, I found myself singing out loud on the vitalising chorus. A track based on simplicity but one that really leaves its mark on you, raising the hairs on the back of your neck as it builds to the imposing outpouring of the chorus. A captivating guitar solo just adds a touch of class before the song segues into something darker and more sinister with a chaotic and frenetic edge to it. The vocals have a hint of danger to them and the music just feels delightfully malicious as the band are given their head to go off and produce an instrumental section of manic glee before everything comes to a breathless finale. A Winter’s Night begins with a whimsical piano that leads in Luca’s tentative vocal, slightly pensive as the guitar adds another layer of elegance to this beauteous track. A song that lingers in the memory with thoughts of yearning and solemnity. A sincere and contemplative song and another piece in this elaborate musical jigsaw that we have been presented with. Every good thing must come to an end and so, with The Longest Sigh, does ‘Skyline’. A punchy introduction introduces the song with soaring guitars and keyboards backed by the dynamic rhythm section before the piano and vocals take the lead. Luca injects an earnestness to the heart of his delivery, almost an impassioned plea to your musical heartstrings and your heart replies with positive intent. The piano and keyboards dance lightly across your soul as the sheer inspiring pleasure of the music takes hold. There are little nuances hidden, fragments of 80’s MOR guitar and synth that give a real sense of nostalgia as well, all painted on a huge musical canvas that is nearly all-encompassing and, as the album plays out its final notes, there is a little nod of appreciation, s light smile on the lips at a job very well done by this talented band. An unexpected highlight of the year so far, hopefully the fourth album by this extremely talented and still relatively young band will see them break into the mainstream of the progressive rock market. 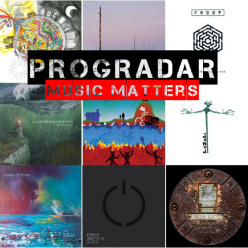 I for one think that, with music as deeply enjoyable and illuminating as this, that they definitely deserve it and, with an apparent resurgence of the genre, progressive music would be well represented by this exuberant and heartwarming group of musicians. They’d get my vote too! !